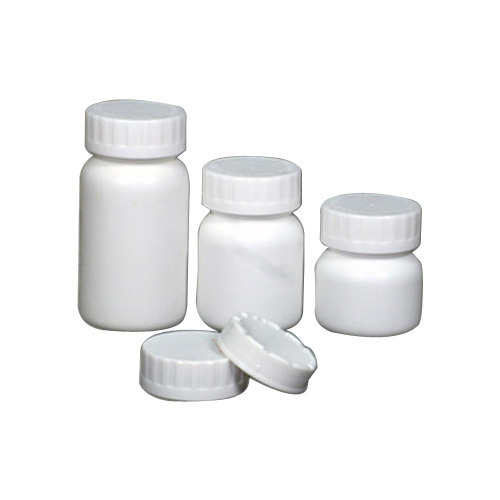 Leading Manufacturer of white plastic tablet container from Vadodara. In order to meet assorted demands of our precious patrons, we are involved in providing an exquisite array of Child Safe Container. The offered product finds application in various industries for packing assorted items such as tablets, capsules, powders, paste, etc. To fabricate this product, our skilled team make use of only premium quality raw material and sophisticated technology in accordance with pre-defined international parameters of quality norms. Apart from this, our offered array is available in assorted specifications according to the information laid down by our customers. Size: 4 oz, 12 oz etc.